Steel Belted conveyor with cleated elevator to 30 cu. ft. 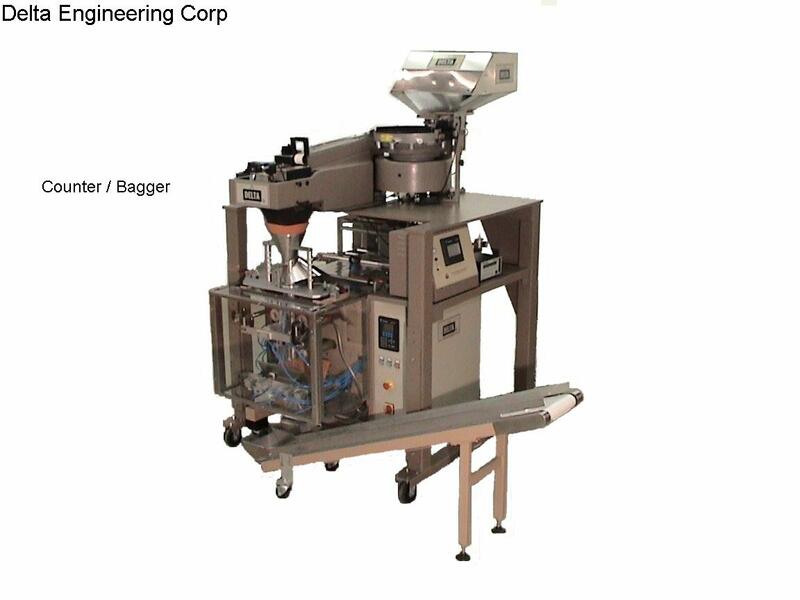 Handles Box Sizes from 1½" x 2" up to 9" x 12" with heights to 10"
Counter with VFFS Bagger for Wrapped Candy, Fasteners, Electrical Connectors, Medical Devices, etc.